en-deav-or: v. try hard to do or achieve something. / n. an attempt to achieve a goal / earnest and industrious effort, esp. when sustained over a period of time. 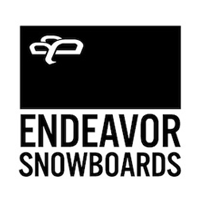 Endeavor Snowboards began in 2001 in Vancouver, B. C. Today Endeavor still use the same Archetype Snowboard Lab to design and prototype all their snowboards and they became the first brand to launch Seamless Sidewall Technology throughout the entire line in 2014. Striving to stay ahead of the game, Endeavor became only the 2nd snowboard company to switch to the Channel System, the fastest and easiest way to mount bindings with nearly infinite stance options, as well as allowing the board to fully and naturally flex. The Board of Directors, The Colour Series and the Guerilla Series are our top picks this season. Canadian, pure and simple. Crafted for the experience. Always Endeavor.